Regardless of why you’re visiting the hospital, there’s one thing that almost certainly isn’t making your visit any easier — the hospital gown. Flimsy and paper-thin, patients have long complained about the gown’s antiquated design but haven’t seen any alternatives until recently. In 2010, the Cleveland Clinic teamed up with Diane von Furstenberg, an iconic fashion designer, to update its patient gowns, Cleveland.com reported. With Furstenberg’s help, the clinic created a front and back V-neck wrap dress with a graphic print. The new gowns are made from softer material and offer complete coverage — a drastic improvement from the original short, entirely open-backed gown design which made wardrobe malfunctions largely unavoidable. 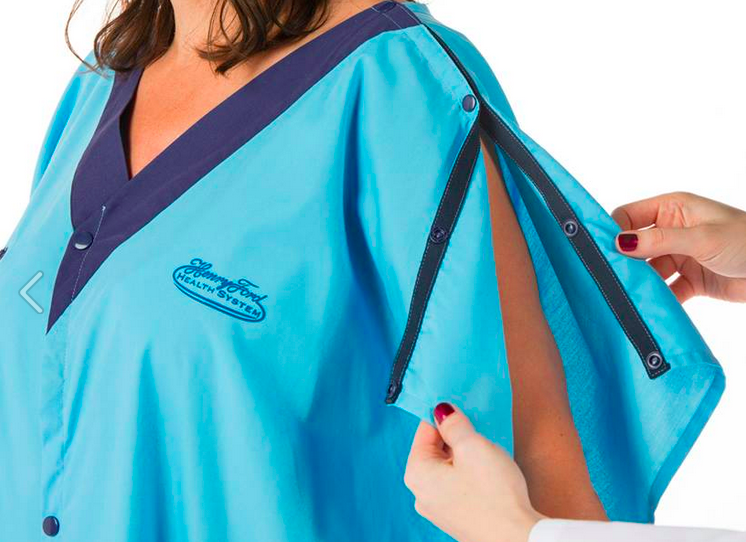 The updated gowns received positive reviews from patients. “People felt much more comfortable in the new design, not just physically but emotionally,” Adrienne Boissey, chief experience officer of the Cleveland Clinic hospital system, said, according to Kaiser Health News. 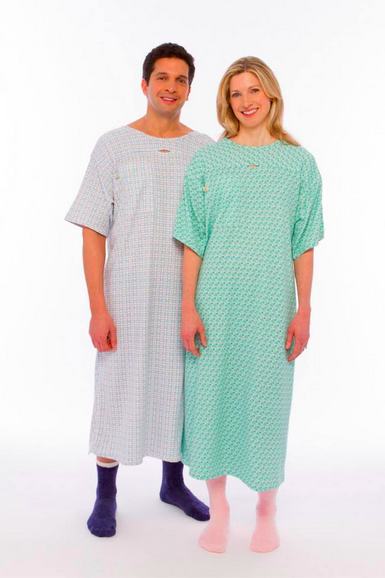 Recently, more health care systems have begun updating their hospital gowns. PatientStyle, a company based in San Leandro, California, that sells comfortable, attractive hospital gowns to healthcare facilities around the country, was founded in 2013. Its designs include bright, colorful patterns, options for new moms learning to breastfeed and gowns that reach the wearer’s ankles and have extra long sleeves and optional head coverage for patients looking for more privacy. The Henry Ford Health System in Detroit is also revamping its hospital gowns as part of a challenge the health system’s innovation institute issued to students at the College of Creative Studies to identify and solve one hospital problem. After three years of testing and developing potential gowns, the institute revealed its new design in the fall of 2014. 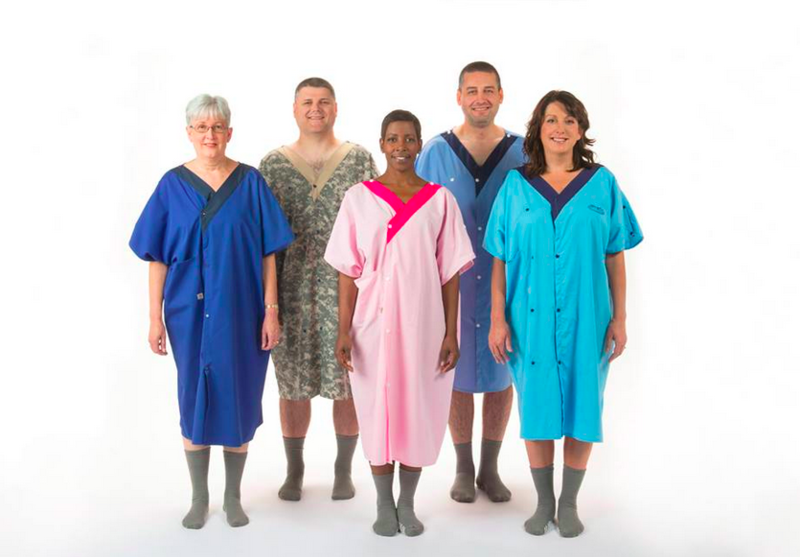 The updated robe-like gowns are made of warmer, softer fabric and wrap about the patient’s body rather than tying loosely at the back.